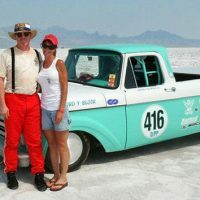 Consider if you will a typical performance engine building plan that holds true for many budget based street and bracket racing builds and illustrates how insufficient research and planning can steer an engine project down the wrong path right from the beginning. The first mistake is not considering the application in enough detail. 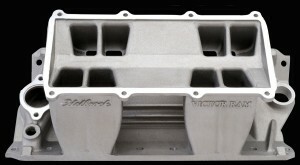 As described on hotrodenginetech.com there are many considerations that are not specifically part of an engine's component makeup, but dramatically affect it nonetheless. 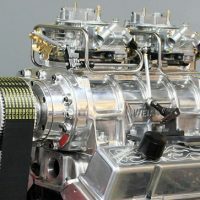 Engine projects frequently evolve in a hap-hazard manner, often based on a few components you may already have such as a block or a set of heads. As such the engine is often compromised for its required performance level and fails to live up to expectations. The importance of this cannot be overstressed. 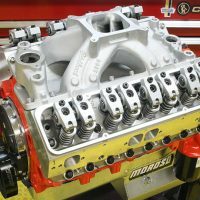 Say you want to build a bracket motor for your early Mustang or Camaro, but you can't afford the best of everything. 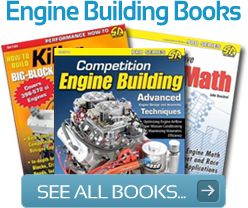 The first step is to plan as if you could afford it and map out the best engine combination possible in terms of component hardware and the mathematical evaluation of how this engine needs to perform. 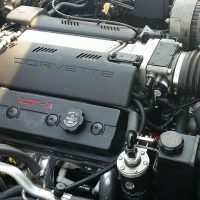 Then you can dial it back to accommodate your budget by making thoughtful parts substitutions that deviate from the plan as little as possible based on cost and how they might reduce the engine's performance. Briefly, here are some important caveats that apply almost universally. in the face of continuous competition. 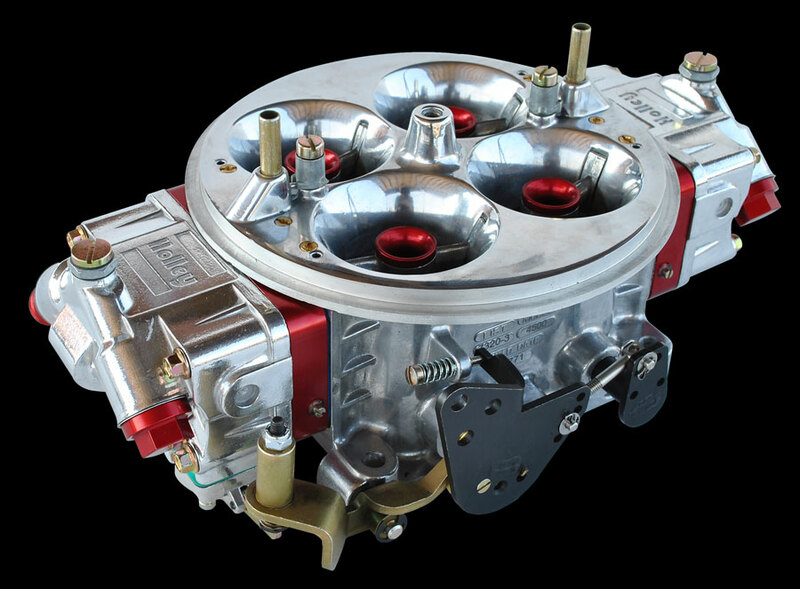 Carburetors almost always make more power than fuel injection largely due to intake manifold layout compromises required to accommodate fuel injection. 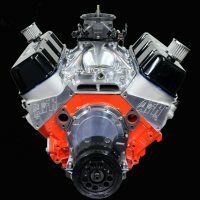 Not true in every case as manufacturers continue to build race only EFI manifolds designed to emulate the best qualities of carbureted intakes, but something to consider nonetheless. Cost is often a compelling factor. 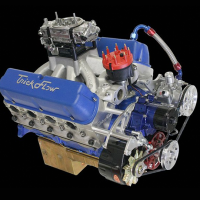 If a carb will get the job done the added expense of EFI can be applied to more beneficial opportunities such as manipulating pin height and rod length to reposition the torque curve to favor your application or acquiring the right set of heads where you can really harvest some power. There are more power strokes per unit of time, but it’s more dangerous. If you're displacement limited for some reason you'll have to consider higher engine speeds and thus potential valve train issues. In our drag racing example you'll mostly be concerned with valve to piston clearance, valve spring life, lifter and pushrod integrity and rocker arm ratios. Strive for adequate clearance, quality springs, stiffer pushrods and precision rocker arms with perfect alignment. If you already have heads, are they dimensionally suitable for your application? Do the math or use PipeMax to get you in the ballpark in terms of desired port cross sections and inlet and exhaust path dimensions. 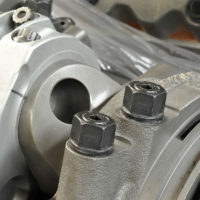 Size these components to position the torque peak where it best suits your application. 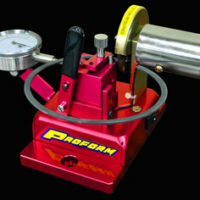 For drag racing you can usually afford a narrower power band, but you must size the flow path dimensions to support the fastest possible engine acceleration (transient torque) through the power band. Strive for maximum fuel atomization by selecting dimensionally supportive ports and intake runners with minimal bends and cross section variations. On the inlet side this means proper texturing of runners and ports to encourage smooth flow with minimal separation, carefully blended valve seats and contoured valve guides. This is a primary step in detonation control. Most engines use some form of wedge type combustion chamber where one third or more of the chamber adjacent to the valves is perfectly flat. This is the quench area and it is used improve mixture quality via turbulence. As the piston crown approaches the flat deck of the head the narrow quench area drives the mixture back toward the chamber at high velocity. This tends to reduce detonation and increase power primarily because it improves mixture quality, but it also tends to cool hot spots and average the pre-combustion chamber temperature to support a smooth burn. 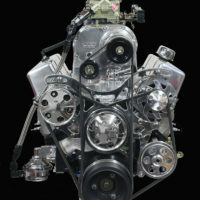 Optimum quench is typically .035-inch piston to head clearance which is less than the thickness of most gaskets. Hence the common practice of zero decking a block and in some cases building in a certain amount of positive deck height. The tighter the quench the greater the benefit, but .035-inch is typically the minimum for steel rods and .055-inch for aluminum rod. Once you go above .060-inch you lose the benefit of quench and power suffers accordingly. The more timing you run, the more cylinder pressure you build ahead of TDC which means you're resisting the piston's travel on the compression stroke. This is called negative work or negative torque as it robs power. You may have a set of slow burning old school heads that fall into this category. If your budget permits an upgrade to more modern fast burning chambers the benefits are many. 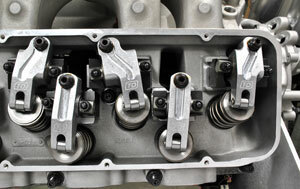 Normally aspirated engine make their best power when peak cylinder pressure occurs between 12 and 18 degrees after TDC. 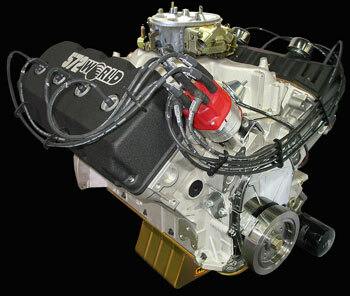 Piston reversal has already taken place and maximum pressure can be applied to the power stroke. Most cylinder heads require about 34-35 degrees total timing for optimum power, but smaller modern fast burn chambers often require as little as 18 degrees for optimum power. This minimizes negative torque losses which equates to a net power gain. Cooler denser charge air makes more power. More importantly it resists detonation. Cool the inlet charge as much as possible, but also cool the motor. 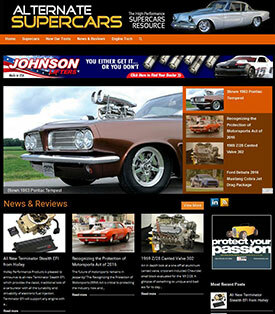 There's an old adage; hot oil and a cool motor goes fast. It’s true. Optimize your coolant system to support this. Drag racers have a lot of tricks for this and the primary goals are to reduce charge temperatures and control detonation. Losing heat to the cooling system costs power, but detonation costs even more power and its often fatal. Consider the flow rates generated by your water pump to determine how long coolant resides in the engine and the radiator before it gets exchanged. Find a happy medium that you budget can withstand. These include the car's weight, tire size, rearend ratio, transmission ratios and the amount of time the engine will spend in each gear based on the calculated rpm drop caused by each gear. 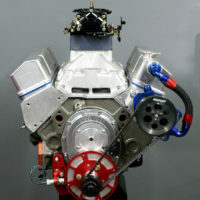 You need to consider this stuff so you can tailor the engine package accordingly. Max torque is what moves the car and the application of torque over time (horsepower) is what makes the car fast. Gear ratios affect this stuff and there are formulas for calculating it. 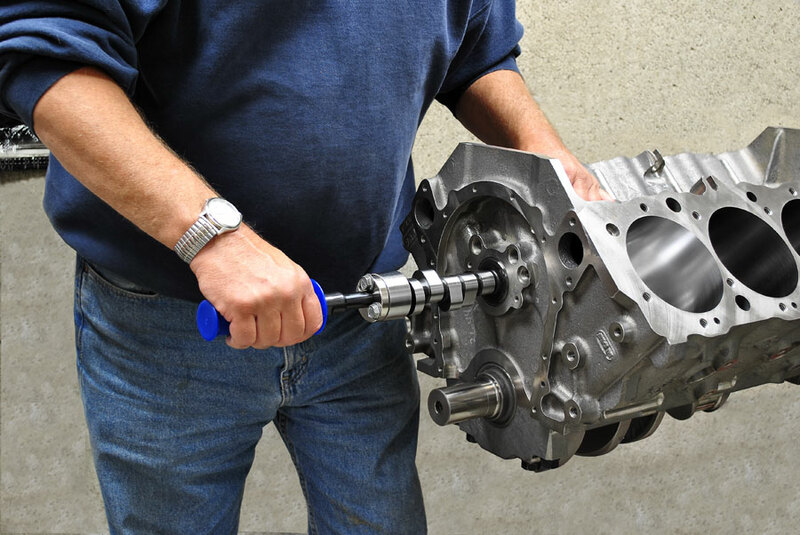 In many cases your performance requirement may be better served by using a different transmission, flywheel or converter (if applicable) provided it can be done within your budget. All of this is a compromise and the object is to stack the compromises in your favor as much as possible.